With over 565M users, 40% of whom are active daily, it’s no wonder LinkedIn has become the go-to platform for finding jobs. But what about building influence? In the past two years, LinkedIn has focused on creating a platform for content – both written and video. Join the “Oprah of LinkedIn,” Goldie Chan, as she goes over how to work with LinkedIn influencers as a brand or agency with case studies and how-tos for building your own personal branded influence. Goldie Chan is the producer behind the top-performing content on LinkedIn Video. Her channel, #DailyGoldie, is LinkedIn’s longest-running original daily video channel. Goldie’s videos cover everything from social media strategy and networking to pop culture and travel. She has amassed over hundreds of thousands of views and has fans from all over the globe. Goldie is a leading LinkedIn influencer and creator — there’s even a Halloween costume of her at LinkedIn’s New York office! Additionally, Goldie spearheaded her own social media consultancy, Warm Robots, where she is the Founder & Head of Content and Creative. Goldie is a strong believer in community and encouraging new creators, and is the brainchild behind far-reaching platform hashtag campaigns like #5Videos, #SafeSpace, #GoalsTogether. Goldie also runs the #LinkedInCreators and #WomenOnLinkedIn communities on LinkedIn. Jeff Lancaster is the Head of Agency Partnerships for LinkedIn Canada, helping the world’s biggest agencies and their clients harness the power of LinkedIn’s platform. His breadth of experience spans a 20-year career where he has held key leadership and business development roles at companies such as GroupM, Catalyst, 24/7 Real Media and Rainforest Digital. 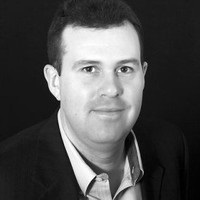 Jeff is also the Secretary of the Board of Directors for the IAB Canada.